Oldham Athletic Football Club were formed in 1895 as Pine Villa FC. 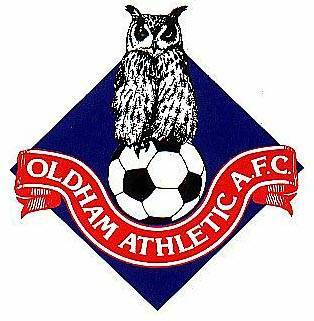 The club changed it's appearance and their name 4 years later to Oldham Athletic. In their 1st ever season in the 1st Division, The Latics adapted well to life after promotion as they finished 7th. 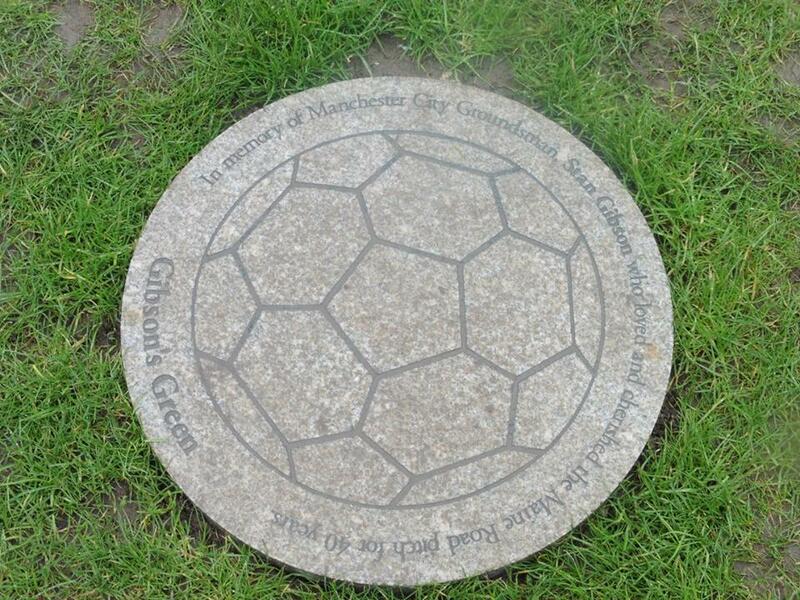 The club reached the FA Cup Semi-Final in 1913 and also achieved a mid-table finish in the 1st Division. Oldham were promoted once again to the 1st Division in 1991. 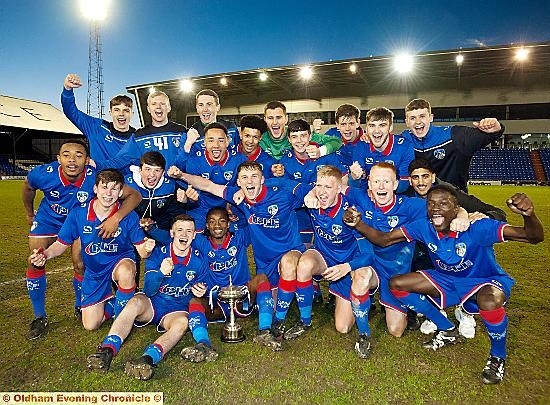 They hadn't been out of the top 2 all season and made sure of promotion with 4 remaining games with a 2-1 win against Ipswich Town. 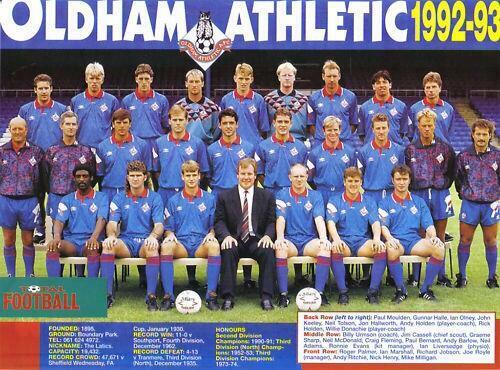 Oldham Athletic were 1 of the clubs in the 1st ever season in the Premier League in the 1992-93 season. Oldham just survived by goal difference. 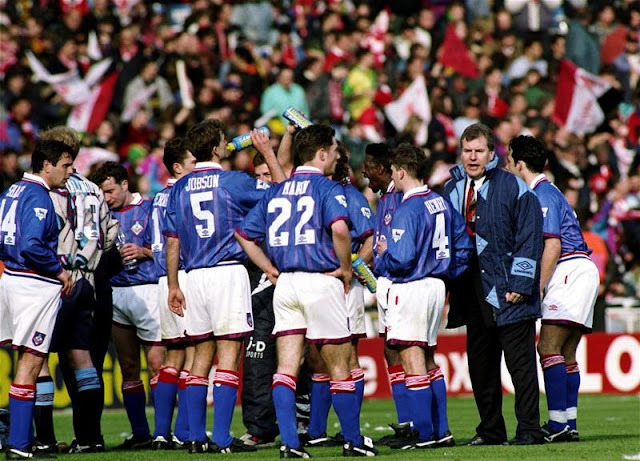 After relegation in 1994, The Latics haven't returned to the top flight since. 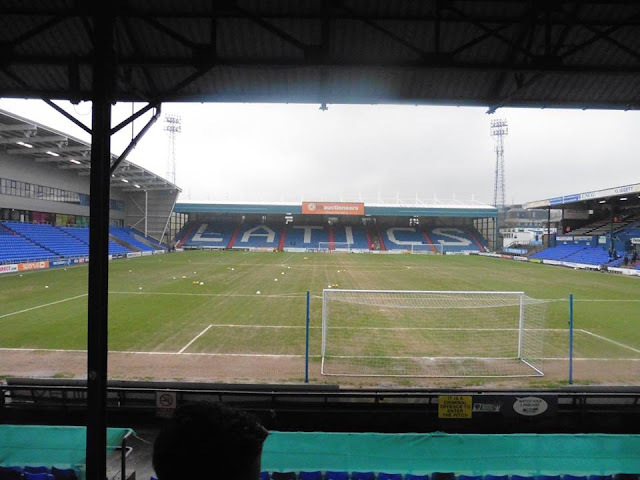 Boundary Park has been the home of Oldham Athletic since 1904. 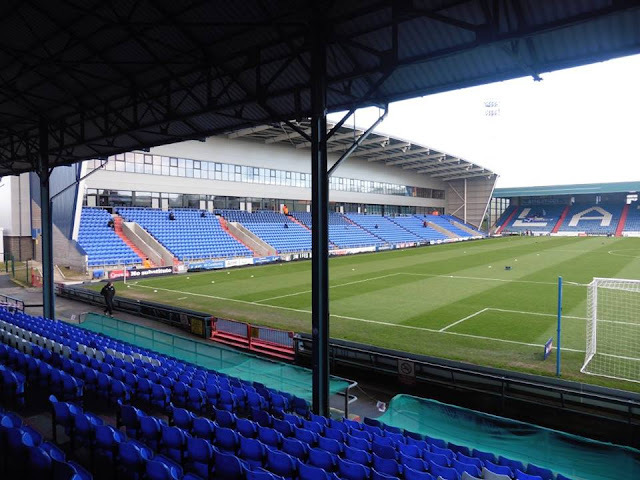 Also it was a temporary home of Rugby Club Oldham Roughyeds from 1997-2001 and 2003-2009. 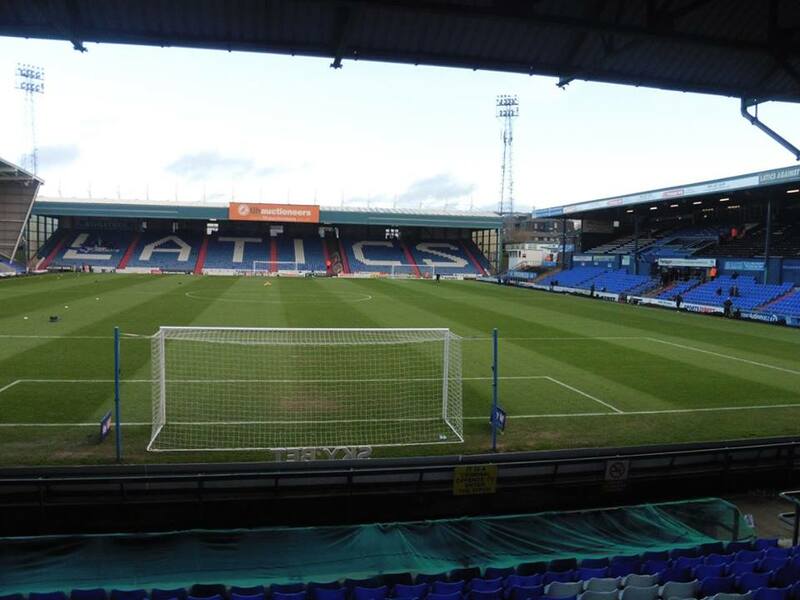 Oldham have a few rivalries with other clubs, mainly known for clubs with Rochdale, Bury and Stockport County. 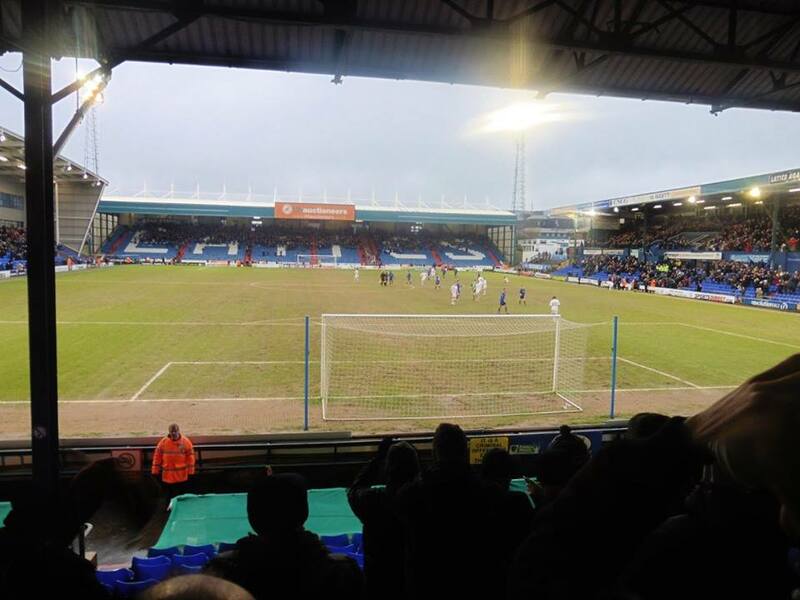 Apparently it's known with Oldham supporters with the dislike to both Manchester clubs, City and United due to people around the area supporting one of the big clubs instead of supporting their local team. 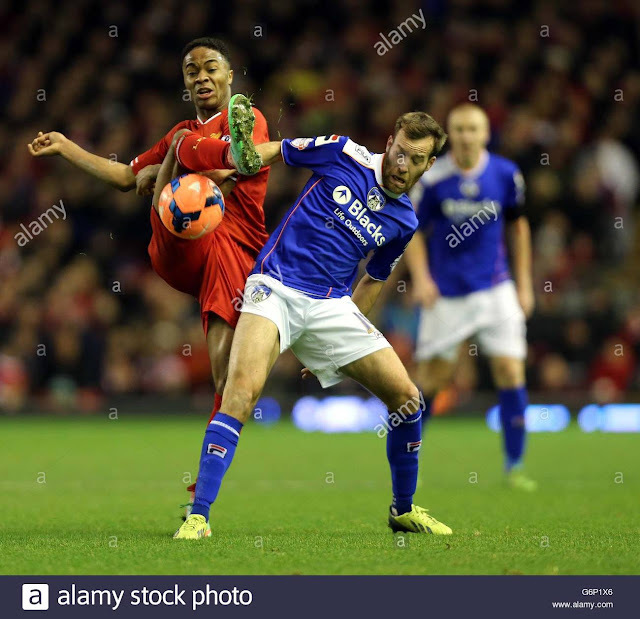 Other rivalries include Wigan Athletic and Bradford City. Famous fans include Comedy Duo Cannon and Ball, professor Brian Cox, ITV's This Morning presenter Phillip Schofield, along with Model Michelle Marsh and Hollyoaks/Emmerdale star Alex Carter. 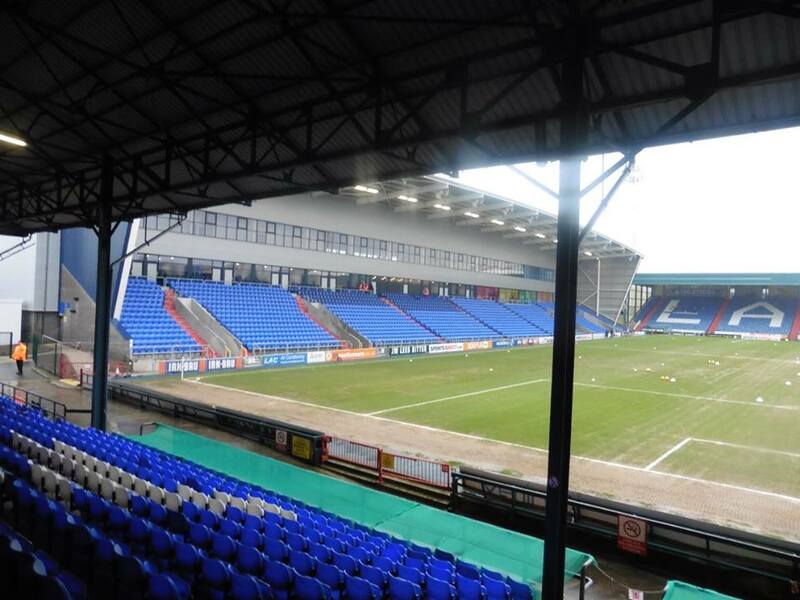 Boundary Park has been the home of Oldham Athletic since 1904, only 9 years in existence as a football club. The ground holds 13,512 with the ground being renovated in 2014. Awau supporters are housed in the ZenOffice Stand which is the Chaddy Road Stand behind the goal. 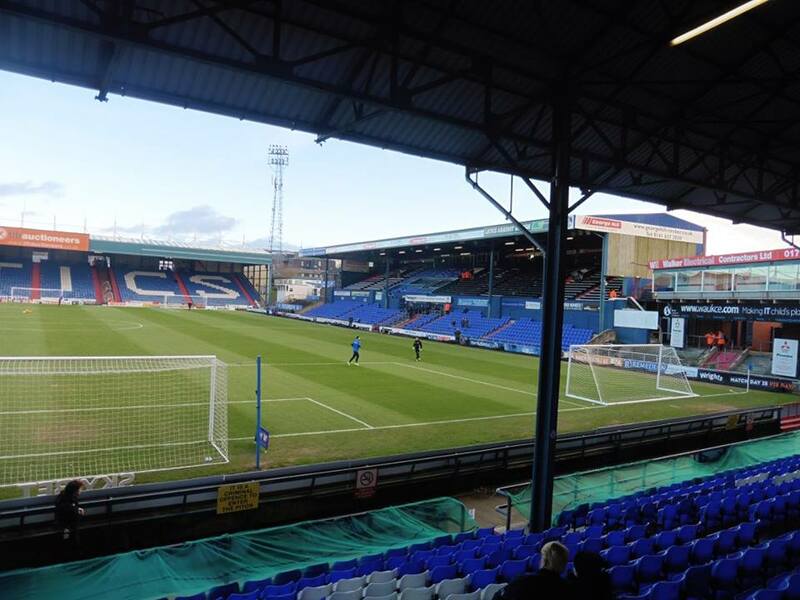 In previous years away supporters have been behind the other goal at Oldham, but have switched in recent years. 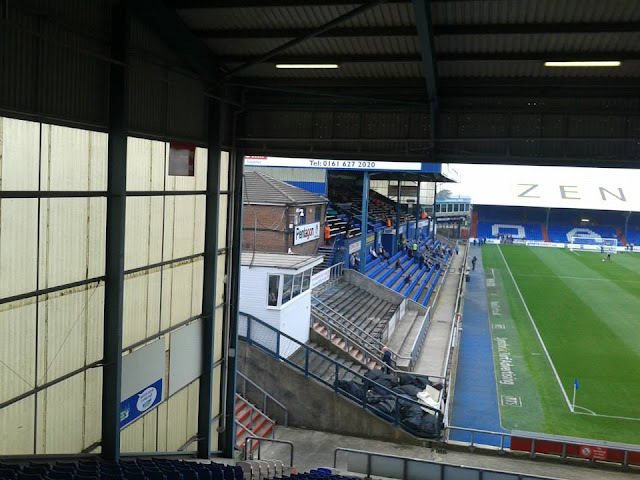 The ZenOffice Stand can hold up to 3,750 supporters. 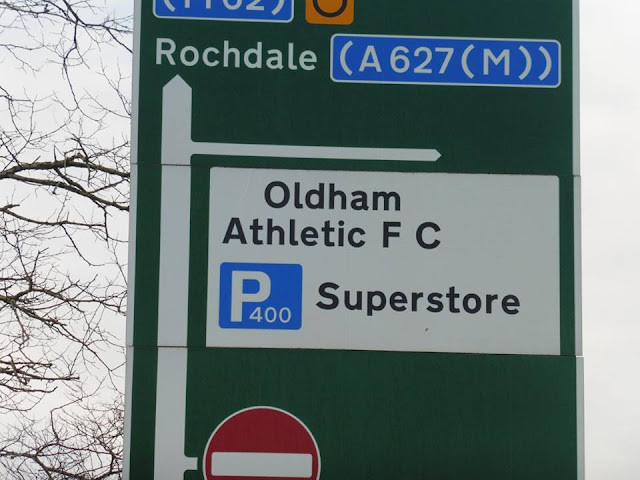 The nearest Metrolink tram stop to the ground is Westwood which is on the Oldham/Rochdale line, takes around 20 minutes walk to the ground. 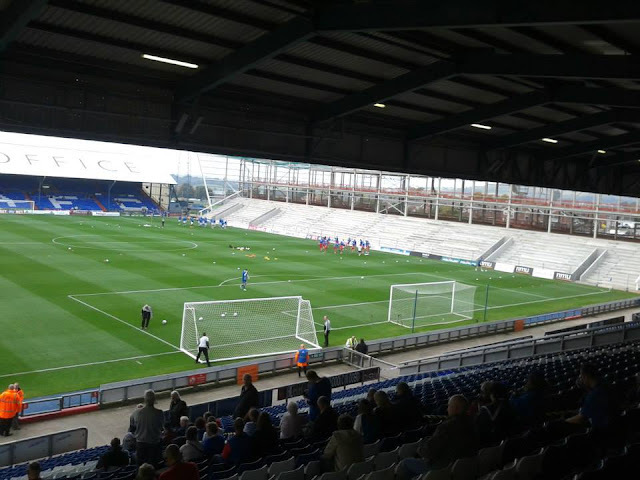 My first visit to Boundary Park came in 2010. At the time I wasn't going to every away game with Gillingham as I have done in recent years, but Oldham was one ground I wanted to tick off in Gillingham's season back in League One after promotion in 2009. We hadn't won a single away game in the 09-10 season so of course confidence wasn't high. 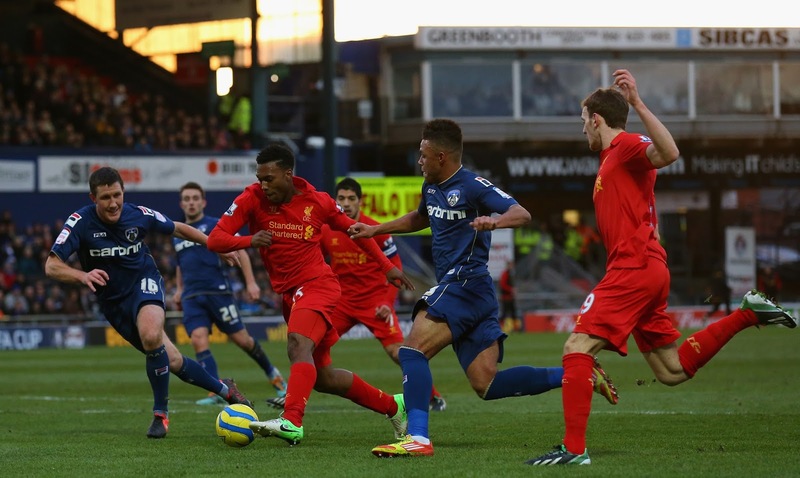 Our last 3 games were 3 successive draws with Stockport, Charlton and MK Dons. 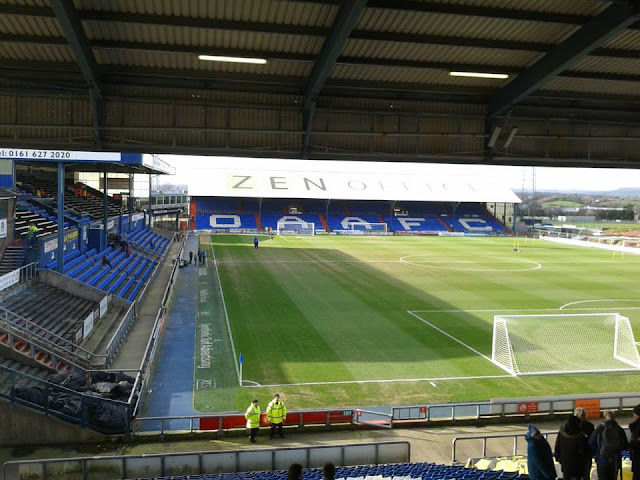 Whilst Oldham were heading into the game with 2 wins in 5 games, both of them wins coming against Leyton Orient and Stockport. 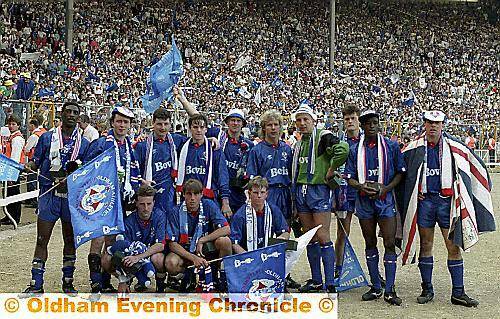 All I remember from that day was going by coach on the Supporters Coach, I don't really remember too much from that day if I'm honest. But since my 1st trip to Boundary Park, I have made other visits since. 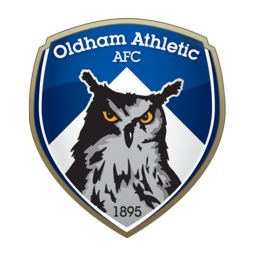 Well as my previous 3 times have been on the coach to Oldham, last time I went to Oldham was coach and this time I decided to go to Oldham a different form of transport which was train. I have to say, I did thoroughly enjoy the day despite the result. So, before heading off to bed the previous night, I set my alarm for 6.15am as my train I planned to leave on left home at 6.52am, so got all ready to leave. Left home and got into London just before 8am as usually it only takes around 50 mins to London but took a bit longer than usual as it stopped at a couple of extra stations. I left Euston at 9am and got into Manchester just after 11am. 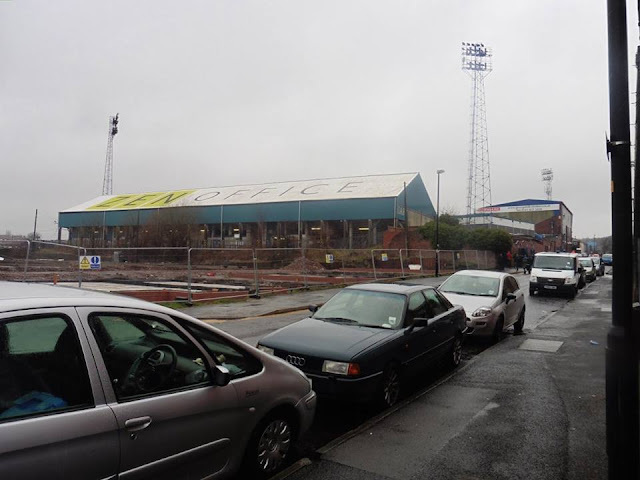 As I got into Manchester, I planned on visiting Maine Road, the former home of Manchester City as I did watch videos on YouTube about Maine Road and it was 1 of the grounds I would have liked to have done but wasn't to be. Set off in a taxi and got lost in the taxi as the taxi driver wasn't sure where it was, but in the end, found it. 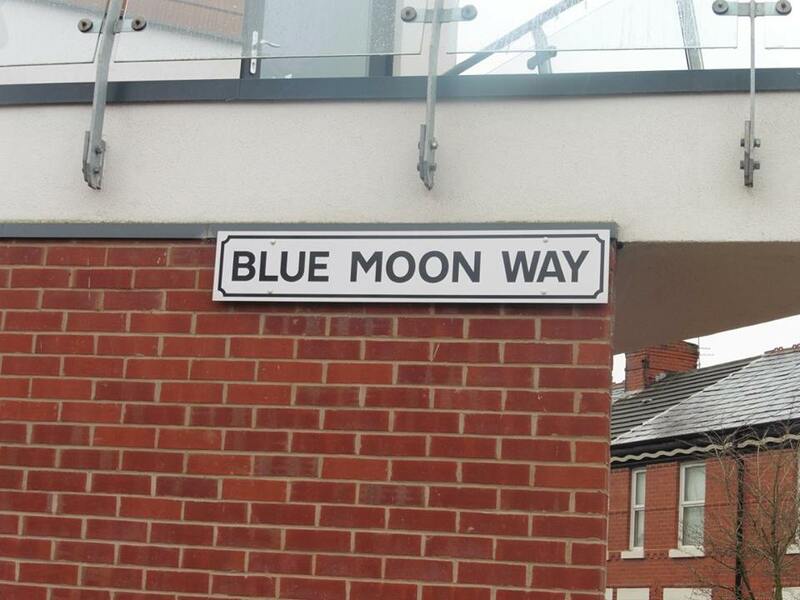 So I got to Blue Moon Way, where of course Maine Road was. I did hear about the centre spot at Maine Road still exists and it was fitting to see it, as below. 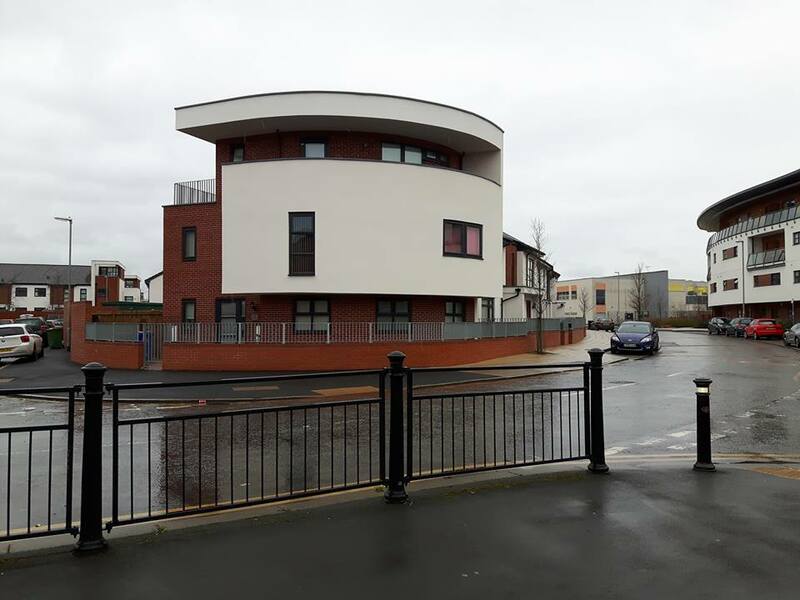 So I looked round Maine Road, which is just mainly apartments and houses now. I left there not so long after 12ish, and walked back to Piccadilly which took me around 35 mins to get back. Then I got on the Metrolink tram and headed for Oldham. 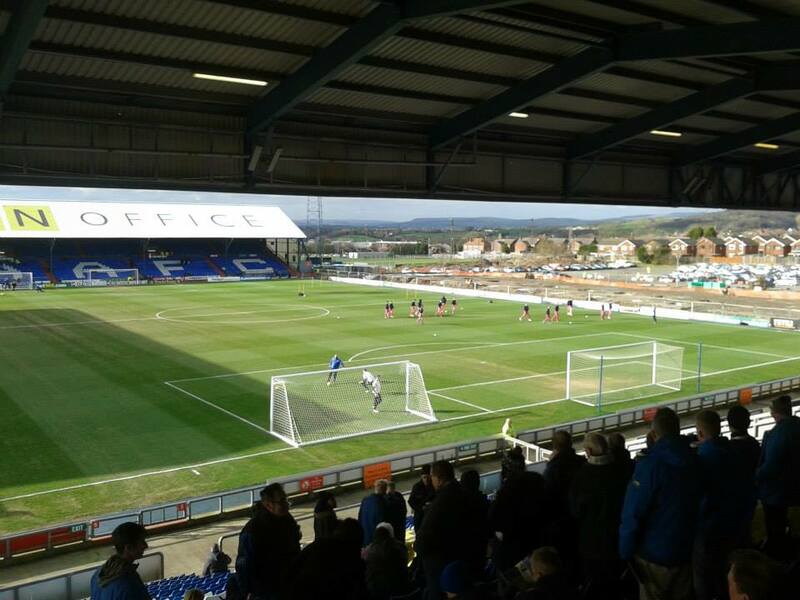 Overall an enjoyable day as I do like visiting old grounds which was. 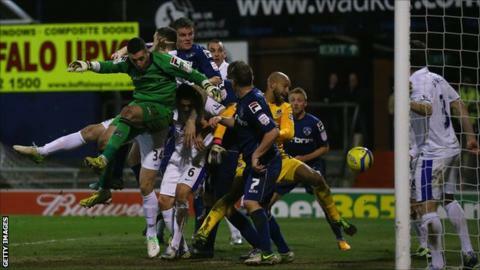 Shame about the result at Oldham though! A quick visit to Maine Road, the former home of Manchester City, before heading off to Oldham, 20/2/16.